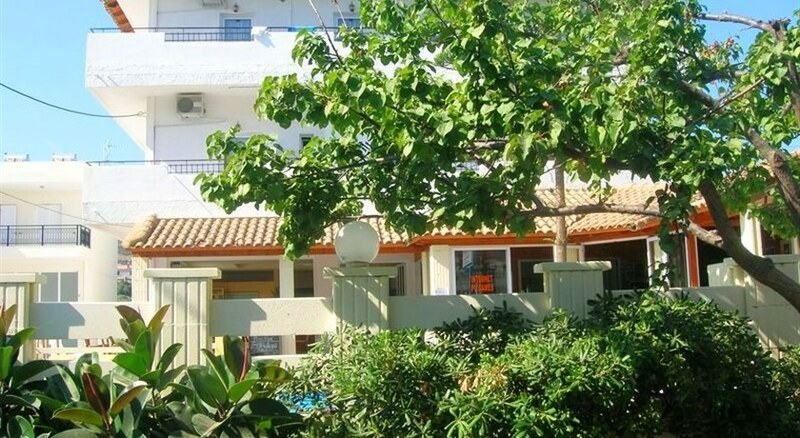 The Simple Hotels Hersonissos Sun is ideally situated 400 metres from the beach, the bars and the nightlife of Hersonissos center and only 200 meters from the nearest supermarket. 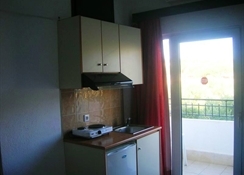 Studios have twin or double beds, a shower room, air conditioning (payable locally), a kitchenette and small balcony or terrace plus there is also a swimming pool, a 24-hour bar, a TV lounge area, reception, safety deposit boxes and a small sun terrace. 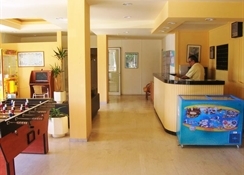 The location allows quick and easy access to the resort centre. Each of the guestrooms is simply designed with minimal furnishings and offers amenities including; air-conditioning, private bathroom, balcony or terrace and kitchenette. Certain amenities may be payable locally. There is a popular 24-hour bar at the Simple Hotels Hersonissos Sun. MEALS: There is a continental breakfast served between 8.00 - 10.00, lunch is served between 13.00 - 14.30, and dinner is served between 18.30 - 20.30. 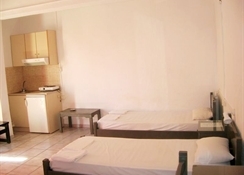 Soft drinks, local Beer and local Wine are also availble with lunch and dinner. BAR: Drinks available from the main bar between 11.00 - 22.00 include - local alcoholic drinks, non-alcoholic drinks, local Beer, local Wine, soft drinks, filter coffee, tea, raki, locally produced Brandy and Ouzo. Sun beds and umbrellas at the pool. 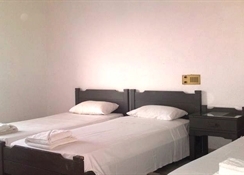 The Simple Hotels Hersonissos Sun is ideal for younger couples and groups of friends looking for small and basic accommodation within easy access of the town's nightlife and attractions.